The original High Bridge was constructed in 1853 and played a significant role in General Lees retreat during the Civil War. During the Battle of High Bridge on April 7, 1865, the original bridge was partially burned by Confederate Troops. The current bridge was completed in 1914 and is the longest recreational bridge in the Virginia. The 2,400 foot long bridge sits 125 feet above the Appotmattox River and is part of a 31 mile shared-use trail built on Norfolk-Southern Railway right of way which was donated to the Virginia Department of Conservation and Recreation. The trail permits biking, hiking, and horseback riding. The restoration of the bridge received $743,000 in regular TE funding and an additional $2,000,000 in ARRA funding through the TE program. The funding paid for re-decking the entire bridge and constructing overlooks with steel canopies. More than 330,000 screws, 13,000 bolts of various sizes, and 1,065 railroad ties were used to renovate the bridge. The contractor for the project was Keith Barber Construction, Inc. 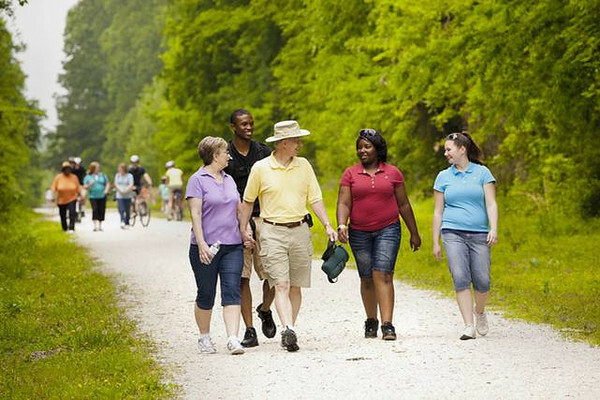 The 1,108 acre park runs through Appomattox, Nottoway, Cumberland, and Prince Edward counties. The trail also connects 4 other TE projects together. The Burkeville Station, Pamplin Station, and Farmville Depot are located along the trail and were all restored and rehabilitated with TE funding. Farmville also has a successful streetscape project near Longwood University. There is still work to be done on the trail but DCR has money set-aside to finish the terrific park. To see video of the park, click here!